I absolutely LOVE this photo! As most of you guys know, bloggers in general don’t get paid in money to do what they do best. Instead, they get paid in freebies- or in my case cookbooks! Basically, most of my days consist of cooking my way through a cookbook or a couple cookbooks simultaneously. My husband doesn’t seem to mind as every day he gets to experience something new on his plate and as always, he loves to give me his input. This past month or so was no different except for this time, Chuck knew that if the recipe came from Chef AJ’s book, Unprocessed, he knew it was a guaranteed winner! This is how I felt while looking for vegan friendly restaurants to share with all of you! So maybe I have been slacking slightly with posting, but it is all with good reason. Seems like out of nowhere, my husband decided to use some more paid leave and along with it, we started going places again like before Raegan was born. 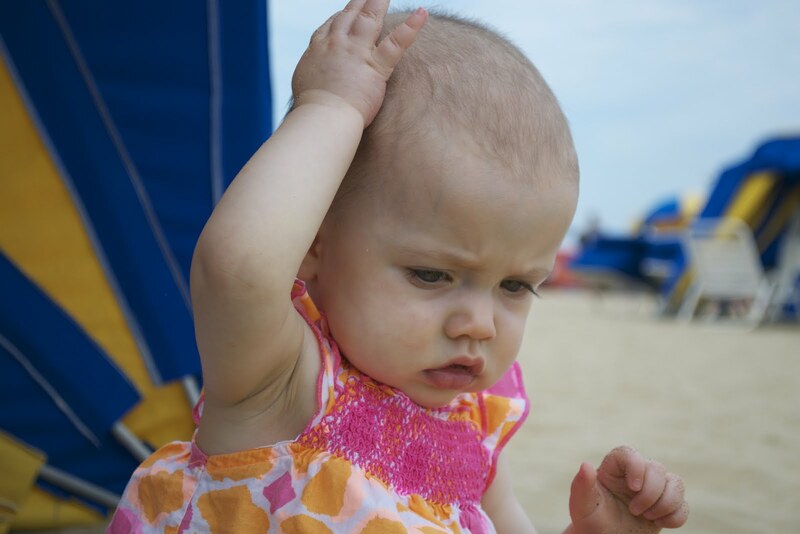 Since this was her first overnight trip out of the comforts of her crib, we were on edge on how she was going to react, hence why we decided to only spend one night at the beach. Along with the stress of the baby, there was also a HUGE question as to where to go to find vegan friendly food. For those of you who know me and my family, we L-O-V-E to eat our way through every town/city/destination/etc. but this time we were working on limited time and from what little I saw on the internet, limited resources 🙁 Overall, our end result was perfect and I like to think we used those 24 hours to our best advantage and I am happy to share with all of you my food voyage…. The Engine 2 Diet Review part 2…The Lifestyle!!! Grab life by the kale!!! 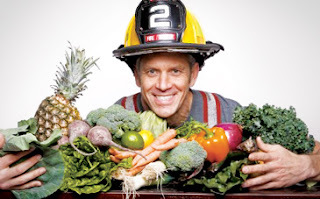 To continue on to the Engine 2 Diet book, none of the claims Rip Esselstyn makes can really be disputed. Everything he mentions in the book has a very solid medical backing, courtesy of his whole family background of doctors, especially his father, Dr. Caldwell Esselstyn, who has written a similar book a while back that is still being promoted by cardiologists to this date. Also I should add that Dr. Esselstyn was one of the driving forces that inspired former President Bill Clinton into a vegan lifestyle. Best of all, Rip is not pushing supplements or telling you to count points. In fact, his website gives you a good gist of his program along with posting a handful of recipes from the book. It’s pretty clear that he wasn’t out to get rich writing this book, he was trying to save lives. If there is one thing I would advise while reading his book is to be prepared to know a lot about Rip as a person as this at times came off as a personal book. At times while reading it, I could hear Rip’s voice narrating as my eyes were moving with each word. Now after taking this 28 Day Challenge, I am more mindful of what I add to my food…especially the oil. Right now as I am typing, I have a Vegan Moussaka in the oven that was an old favorite recipe of mine (I will post a recipe if it turns out well!) but I gave it a total overhaul. In my old recipe, I would put a generous one cup of olive oil total from start to finish…That’s of 1,920 calories and 224 grams of fat!!! So the dish is about roughly 6 servings so you are looking at an additional 320 calories and a little over 2 grams of fat per serving in oil alone….This may sound mild to some of you but just remember that there are other ingredients to consider that will make those numbers creep up in no time. Hopefully as you are reading this, those numbers concern you as much as it concerned me…And the healthy modifications are so simple and best of all, you are not going to miss the added oils- I promise you that! So with all of this being said, I am happy I took the 28 Day Challenge and I definitely have Whole Foods Market in Charlottesville to thank, and most importantly, Kristen Rabourdin, their official Healthy Eating Specialist for making all of this happen (did I forget to mention those awesome treats she made for us during our meetings?). Now since you have been so patient about my review of Engine 2, I am pleased to post a VERY delicious recipe, courtesy of the lovely Kristen Rabourdin…This spread was a HUGE hit at one of our meetings and it would be a crime not to share it with you!!! This healthy dip reminds me of carrot cake and has a perfect sweet/salty ratio. My equipment of choice is to use a really, really, really good blender, like my trusty Vitamix (worth every penny!) or a decent food processor. If your pureeing equipment is subpar, you can always lightly steam the carrots beforehand…. I am not the best photographer but I swear it is worth trying!! !